Ultra High Definition TV and -- surprisingly -- gaming took the spotlight at this year's Consumer Electronics Show. Who'da thunk it? Certainly not me, Engadget's resident gaming dude. But here we are, with NVIDIA's first game console, Razer's modular PC rig, Valve's Steambox prototypes and Xi3's first example of third-party, Valve-backed Steambox hardware and, and ... maybe we're getting ahead of ourselves. Let's look back to January 3rd, before NVIDIA's press conference, before Razer's Project Fiona unveiling and before Valve surprised us with hardware prototypes. Those were simpler times -- times when Valve hadn't yet launched its multi-front attack on what we're still calling console gaming. It seemed unlikely that we'd see such a concerted effort to move PC games from the exclusionary world of desks and home offices into living rooms this early in the year. Yet, again, here we are. NVIDIA's Project Shield announcement on Sunday evening was our first hint that CES 2013 would be more gaming-centric than expected. CEO Jen-Hsun Huang slowly walked us through the less thrilling proceedings first -- its GeForce Experience application for optimizing games across various hardware setups, and the company's new GRID server architecture for managing cloud game streaming -- before bringing out the big guns. Shield was a genuine surprise, a rarity in an era of leaks, online FCC filings and patent applications. 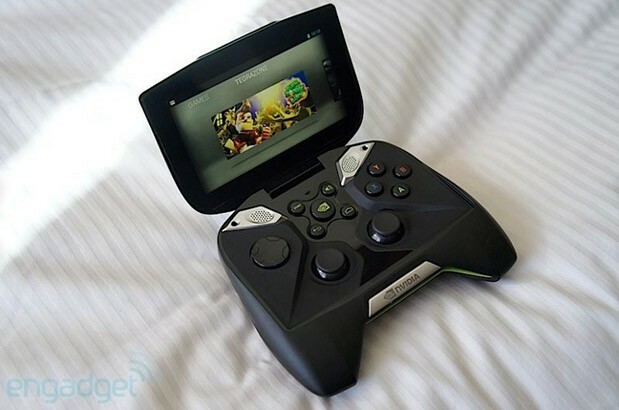 Not only is Project Shield important for being NVIDIA's first standalone game console hardware, but it's also the first Tegra 4 device to be unveiled. While some of that Tegra 4 "next-gen" mobile power is being used for plain Jane Android gaming, that's not the really important piece of Shield. Its ability to stream full PC games from your gaming rig using a built-in version of Steam's Big Picture Mode directly to the handheld's 5-inch high-def screen is what matters. 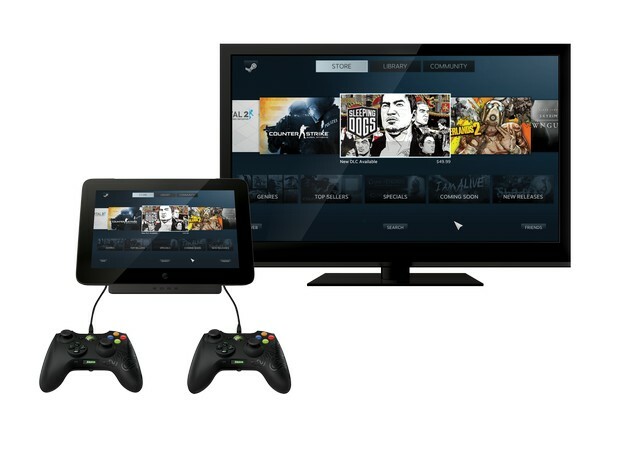 You can even push those games to your television screen directly; this is ostensibly the first of three different approaches to migrating PC games to your living room (and elsewhere in the house for that matter). The very next day at 11PM, with a very tired Min-Liang Tan, we went hands-on with Razer's modular PC: Edge. Formerly known as Project Fiona, Razer Edge is a Windows 8 gaming tablet first -- packing an Intel Core i5 CPU and an NVIDIA GT640M LE GPU at the very least, and an Intel i7 in the Pro model. But it's also a portable console (with optional controller dock), a home console (with optional console dock) and a gaming laptop (with optional keyboard dock). Is that enough ands? Best of all, the Edge is a powerful all-in-one solution that starts at just $999. Is that a lot of money for a game console? Sure is! But how about for a modular PC? Not so much. Unlike Razer's very expensive, very boutique Blade gaming laptop, the Edge is a device that many gamers could actually afford. It sure helps that the many iterations of the Edge are scalable, rather than one large, expensive bundle. And the gorgeous 10.1-inch IPS screen certainly gives a great first impression. Though the Edge wasn't a surprise by any means, it is a very appealing option for people like me who have zero interest in building a PC from the ground up. And then there's Valve, which showed up at CES 2013 with three internal hardware prototypes of its Steambox -- a living-room friendly PC made to run its Steam gaming client in Big Picture Mode. Like with Steam itself, the Steambox is a somewhat flexible concept rather than a single hardware device (the long-rumored Valve gaming console). As Valve hardware engineer Daniel Keyzer told us while we hungrily snapped up images of the prototype boxes, Valve hardware is going to be "different things for different people." Whether that's something like Xi3's Valve-supported Piston modular PC or Alienware's X51 or Valve's own creations, the company's aiming squarely for your living room and doesn't seem to mind how it gets there. If Steam Big Picture Mode was the first baby step in that direction, Steambox is poised for a giant leap toward the living room-ification of PC gaming. Oculus Rift and its new 7-inch screen made an appearance as well, though only the original prototype model (with a 5.6-inch screen) was playable. Thankfully, the folks at Oculus brought a whole slew of new demos for us to check out, including Epic Games' Epic Citadel demo, now outfitted for the incredible VR headset. The line of Engadget editors waiting to try out the Oculus Rift next to our CES show floor stage when Palmer Luckey and Nate Mitchell brought it by attests to its impressiveness. 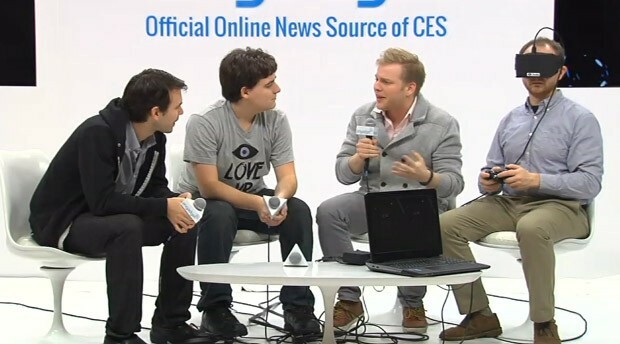 Android gaming, unlike last year, took a bit of a back seat at CES 2013. OUYA is still a few months from shipping to its Kickstarter backers, and GameStick is yet another month out; neither showed up at CES. Nor did the Wikipad, which actually pulled out of its CES appearance at the 11th hour -- it did show up with chromed-out buttons at the Big Fish Games booth, but we're told that some "big surprises" are in store for that device in the coming weeks (beyond just shinier buttons). Project Shield does play Android games, as evidenced by the unveiling of Dead Trigger 2 alongside the device, but we'd hardly call it Shield's defining feature. 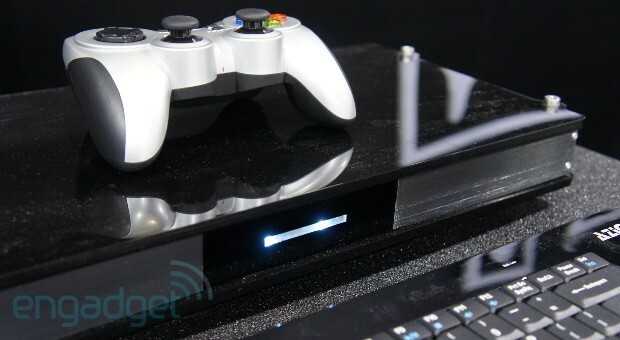 If Microsoft and Sony are still hemming and hawing about new console reveals this year, CES 2013 goes a long way in kicking their respective butts into gear. The 50 million Steam users breathing down their necks ought to raise some real fears, and the ever shrinking stable of exclusive IPs is only going to hold so many gamers to Microsoft and Sony's platforms. If Mario and his 24 launch friends aren't pushing Wii Us, then you have to wonder how many folks are going to spend north of $300 just to play Halo and Uncharted -- especially when the lion's share of great games every year are increasingly multiplatform. Regardless, competition is great for consumers, and 2013 is shaping up to be an incredibly interesting year for gamers.